We are also concerned with the safety and compliance of contractors and vendors who provide McWane companies with goods and services. In 2012, McWane established a business relationship with ISNetworld to manage the Environmental, Health, Safety and compliance data for contractors who work at our facilities. In order to be considered by McWane to provide our facilities with goods or services, each contract company is required to subscribe and maintain a subscription to ISNetworld. ISNetworld serves as McWane’s primary contractor information management system. In addition to gathering insurance and contract documentation, ISN collects and verifies documentation to ensure that contractors and vendors whose services or goods are important for our operations comply with OSHA requirements and our own health and safety requirements. EHS Questionnaire — ISNetworld contains the Management System Questionnaire (MSQ) which will be utilized to gather your company's EHS data and quarterly statistics. EHS Programs — ISNetworld RAVS (Review and Verification Services) will review your written health and safety programs for compliance with regulatory and/or McWane standards. EHS Training — ISNetworld T-RAVS (Training - Review and Verification Services) will review your employees' proof of training records. Certificate of Insurance — ISNetworld I-RAVS (Insurance - Review and Verification Services) will review your certificate of insurance specific to McWane requirements. Contract Terms — ISNetworld will confirm that you agree to McWane’s terms and conditions before providing services or goods. While there is a fee to subscribe to ISNetworld, McWane believes that the benefits to both parties will far exceed any associated costs. 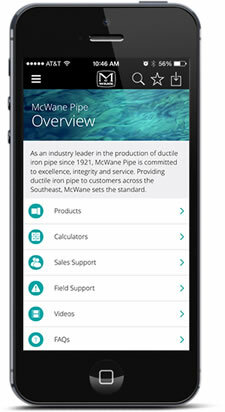 If your company is a current subscriber to ISNetworld, there is no additional fee; however, please ensure that your company requests connection to the McWane facility or facilities where you plan to offer your goods and/or services and provides the information to ISNetworld that is specific to McWane companies. For more information about ISNetworld and the benefits of being a contractor subscriber, please contact the ISN Customer Service Team using the information provided below.